Born and raised in New Mexico, author Sue Houser writes about the Land of Enchantment in her nonfiction books Hot Foot Teddy: The True Story of Smokey Bear (M.T. Publishing, 2014) and La Conquistadora, The Story of the Oldest Statue of the Virgin Mary in the United States (Sunstone Press, 2011). 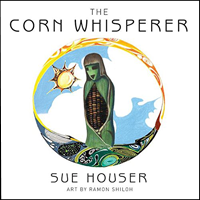 Her first fiction title, also set in New Mexico, is The Corn Whisperer published by Irie Books in 2017. 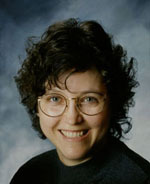 Visit Sue at her website SueHouser.com and on her Amazon author page. The seeds of the story began with a visit to a cornfield near Acoma Pueblo in New Mexico and connecting with the truth in the old saying “It is so quiet you can hear the corn grow.” Tell us more about how the book came together. After the seeds of the idea began to germinate, I worked on the story for about a year and a half. At first, the book was one story. I sent it for a critique to the publisher (Irie Books) who suggested breaking the text into three separate stories, according to the seasons. Why would this book appeal to both young and old? This is an intergenerational story. It bridges the old ways with a modern lifestyle. I hope adults recognize the impact their own cultural stories can have on future generations and that children and adults alike become more aware of the sounds and beauty of the environment. I gained a new respect for the co-dependent relationship we have with corn. Although corn fertilizes itself, it cannot re-seed itself. Corn depends on people to prepare the ground, plant the kernels, pull the weeds, and water the plants. In turn, corn provides us with food and food products. Corn provides feed for livestock, and if left in the field, corn serves as mulch for the soil. Cornstalks support the vines of beans and squash. Cornhusks are used in weaving and making dolls. Ornamental corn is used for decoration. Corn needs us, and we need corn. Why did you choose New Mexico as the setting for the book? A New Mexico pueblo was the perfect setting for this story because the earliest evidence of corn being grown in this country was found in New Mexico and Arizona—as early as 2100 BC. Was there anything surprising you discovered while doing research for The Corn Whisperer? I learned that some Native American legends are told only during certain seasons. For example, the “Coyote Scatters the Stars” legend is a winter story—told during the time when the earth, animals, and plants are asleep, waiting for the return of the sun. I also learned that Native Americans consider oral stories to be more reliable than written stories. And even though there may be different versions of the same legend, each version is valued and preserved.